TLC owns a conservation area in Illinois along Randall Road in Lake in the Hills. This is a remarkable preserve that functions as a wildlife sanctuary in a highly developed area. It also protects part of Woods Creek, serving as a natural filtration system right near the lake. The only bad part is that since it’s at a low point along a major road, it collects everyone’s trash. 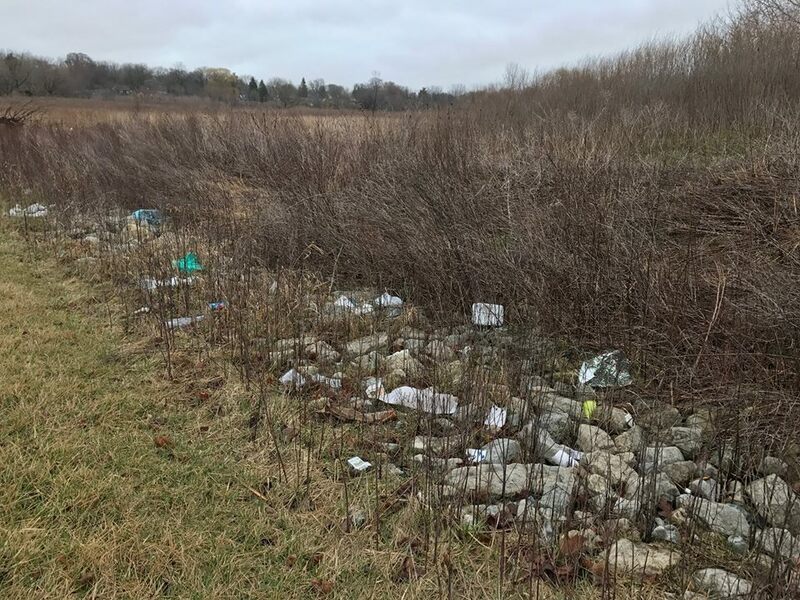 Trash blew into our site all fall and winter, ruining the scenic vista as well as the wildlife habitat. The good news is, with help from volunteers, we cleaned it up in no time at all! How? We made a trash scavenger hunt! We don’t want to give everything away, but each participant was given a list of items to find, including things like a sock, political sign, golf ball and much more. We also offered prizes that people could win! They’re super cool prizes that we got really excited about, but volunteers had to show up and collect trash to win them. And show up they did! Sometimes finding joy in tasks such as trash collection is as simple as reframing how we look at a problem – and then sharing the excitement with the rest of the community. Lisa Haderlein is executive director of The Land Conservancy of McHenry County.